Earlier this month, the product Palcohol (a powdered form of alcohol) was cleared for sale in the U.S. by the Alcohol and Tobacco Tax and Trade Bureau (TTB). This clearance is a concern for many such as lawmakers, parents, addiction treatment professionals and educators, who see the huge potential for abuse the product will have, especially for teens and young adults. Palcohol is simply alcohol in powdered form. Mixing palcohol with 6 ounces of liquid, be it water, juice or soda, creates a spiked alcoholic drink. The concern on the part of parents, educators, law enforcement and others is that Palcohol will be much more difficult to regulate than alcohol, with its ability to be easily snuck into venues, hidden, used to spiked drinks and to increase access to it from minors. This will make the jobs of law enforcement and educators in schools more difficult. Some states have already taken the steps to ban the product. From a treatment perspective, it is unknown the issues that will occur due to Palcohol, but common sense would dictate that Palcohol will be just as abused as alcohol and that the potential for even more younger adult, teens and adolescents will be in need of help and seeking treatment for Palcohol abuse. From a parent’s perspective, the idea that the government has regulated a substance that would seemingly make it easier for minors to abuse alcohol is unnerving to say the least. There is little question that Palcohol will be abused by the young adult and adolescent population, and because of this new form of alcohol, it will make the job of parents and teachers that much more difficult to regulate. 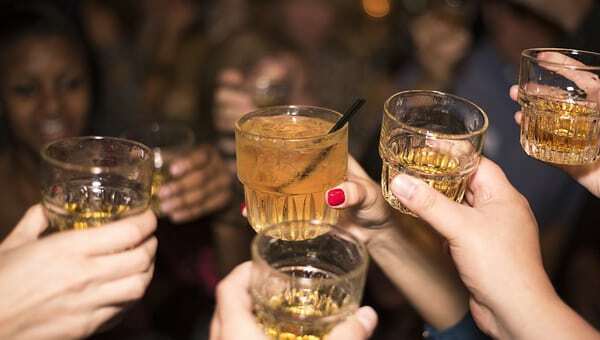 Although the Food and Drug Administration (FDA) has not yet approved Palcohol, the organization has made statements that there is no legal reason for them to prohibit its sale within the United States. Therefore, although the substance Palcohol is not yet available for purchase by anyone, there is little doubt that it will soon be available both legally and on a black market, to be abused and just be one more new and unnecessary legal substance that will require a whole new generation of people to seek help for substance abuse and addiction. If you or someone you know is in need of help because of drug and/or alcohol abuse or addiction, please give us a call. Maryland Addiction Recovery Center offers the most comprehensive dual diagnosis addiction treatment in the Baltimore County, Baltimore City and entire Maryland/DC area. If we aren’t the best fit for you or your loved one, we will take the necessary time to work with you to find a treatment center or provider that best fits your needs. Please give us a call at (410) 773-0500 or email our team at info@marylandaddictionrecovery.com.